If you’re a word person, hearing someone completely verbally bludgeon the English language with their uninformed tongue is the equivalent of hearing the devil’s nails raked against the chalkboard of your soul. I don’t know how many times I’ve cringed hearing someone talk about a car called a “Jag-wire” instead of “Jag-war,” whereas I’m pretty sure Jag-Wire is the internet streaming radio station for Sen. Lindsey Graham. Tech Republic recently ran a list of 10 mispronounciations that make you sound stupid. Good reading for anyone who was suppose to buy some jewelry this February. My ultimate pet peeve to add to the list is Pulitzer. The name of the top prize in journalism is not “PEWL-itzer,” despite how many times you hear this mangled in movies about journalism. Y ou’d be surprised at how many actual journalists get this wrong too. It’s a double chalk-board-scratch-gag-inducing response every time I hear it from a journalist, who should know better, and who should at least make it his or her responsibility to figure it out. One of my J-school teachers gave a good way to remember it. 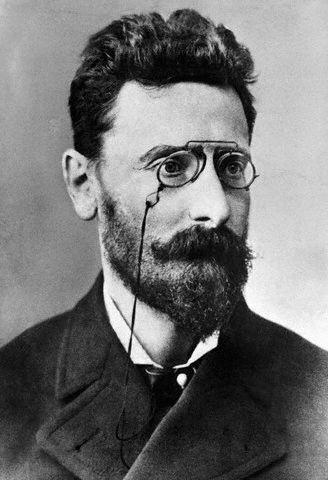 Joseph Pulitzer was always being picked on for his big nose. “Pull it, sir,” he’d say. Don’t believe me? Primary source on your face! I agree with all ten save “often.” It’s a corruption of “oft” which does not have a silent ‘t’. Pronouncing it “offen” is wrong.